This is all about Pink Quill Plant Care. Tillandsia cyanea, a Bromeliad which also grows an air plant, makes an easy & tough houseplant. 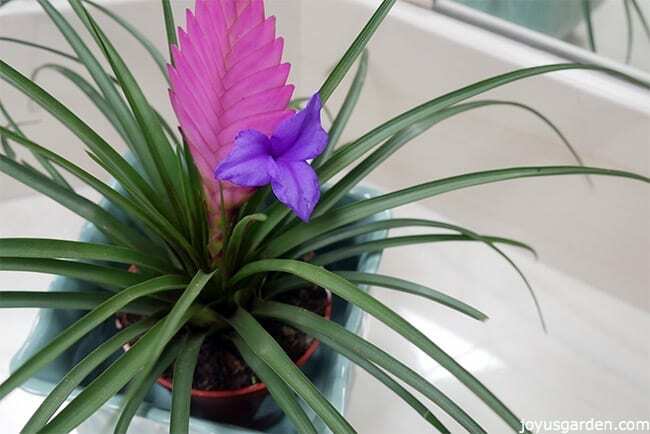 The Pink Quill Plant, or Tillandsia cyanea, is one sweet little plant. Although these are much smaller than the other commonly sold bromeliads, like the Aechmea that I showcased last week, the size of their flower makes up for that. 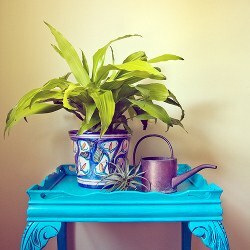 It’s not only a very easy and tough houseplant, but it handles dry conditions like a champ. 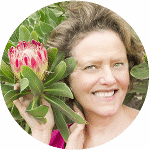 This is all about Pink Quill Plant care and the things you need to know to keep it keepin’ on. In case you didn’t know, tillandsia is the genus for air plants. What makes this bromeliad so cool, along with its big bloom in relation to the size of the plant, is the fact that it’s sold as an air plant as well as in a pot. It does equally well growing either way and I’ve even seen it in large (2′) kissing ball form. Good, bright natural light is best for you Pink Quill Plant. An east or west exposure fits that bill. 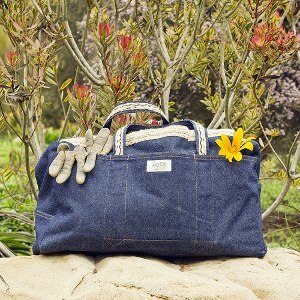 You want it in this light to bring on the flowering & keep the plant happy for the long run. Be sure to avoid any strong, direct sun as the plant will burn baby burn. This 1 doesn’t need a lot. 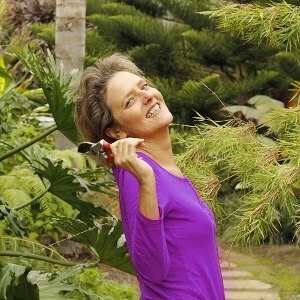 The best way to water yours is to spray it once or twice a week, depending on how dry your conditions are. You can give the growing medium a good drink every 1-2 months, depending on the temperatures and the season. 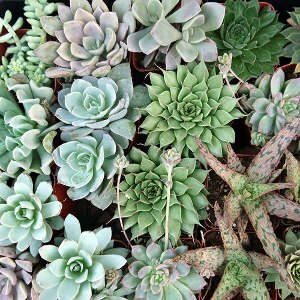 Like all houseplants, water less in the late fall/winter months. If your water is hard, then use purified or distilled water as this plant is susceptible to a build up of minerals in some tap waters. I usually don’t fertilize my bromeliads or air plants, maybe once a year if I feel they need it. In nature this plant gets it moisture & nutrients through the foliage, not the soil. For this reason, it’s best to spray the fertilizer onto the foliage & the surface of the growing medium. You can use an all purpose orchid food diluted to 1/2 strength or this fertilizer formulated for air plants. You want to fertilizer in the spring &/or summer. Once or twice a year should do it. Pink Quill Plants for sale – this gives you a better idea as to how they flower. Warm or cool, the Pink Quill Plant isn’t too fussy. If you’re comfortable in your home, it’ll be too. 1 thing to note: they do like good air circulation. 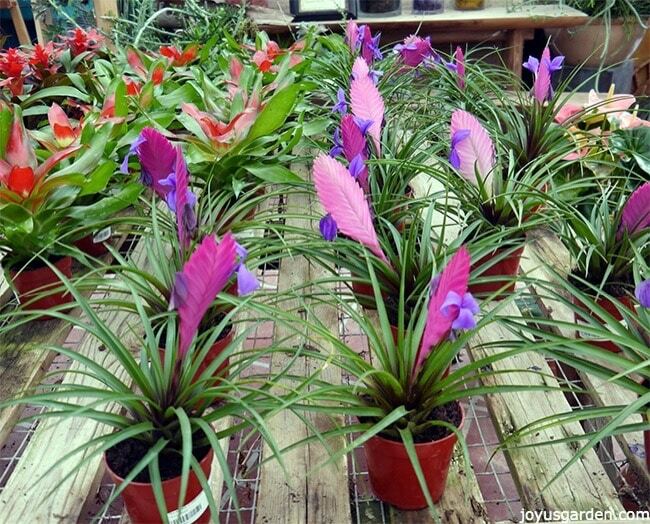 The Pink Quill Plant, because it’s epiphytic like other bromeliads, needs to have excellent drainage. It’ll do well in either orchid bark or cymbidium mix. I’ve also used a mix of orchid bark & coco coir. If you’re into or interested in kokedama, the Pink Quill Plant is well suited to this Japanese art of displaying plants. Pups will form at the base of the mother plant, which will eventually die. This isn’t your fault, it’s just the natural cycle that bromeliads go through. You can either leave them attached to the mother (you can cut the dead foliage off) or remove the pups & plant them into another pot. By the way, it takes at least 3 years for the pups to flower, maybe even longer. After my Pink Quill Plant is through flowering & doing it’s thing indoors, I’m going to wrap it in moss & mount it on the cholla wood art piece with my other air plants. This 1 reportedly is non-toxic for both dogs & cats. However, some kitties like to chew on their crunchy leaves & although that might make them sick, it won’t poison them. If that’s the case, best to keep your Pink Quill Plant & your kitty away from each other. Close up & personal with 1 of the flowers. The pink quill, which is the inflorescence and not technically the flower, is the main draw for this plant. The rich blue/purple flowers which appear off the sides of the quill are actually short lived. I’ve found they open no more than 2 at a time and only last a couple of days. The good news is that the quill can last for up to 4 months. 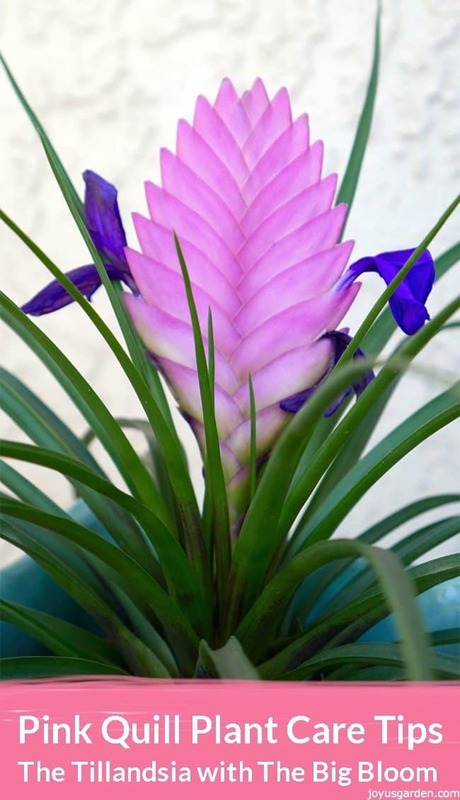 New to the world of bromeliads, then why not give the Pink Quill Plant a try? This tillandsia is so easy that it practically maintains itself! Stay tuned because up next is the Guzmania, the bromeliad with the vibrant star-shaped flower. If you’re looking for a little advice on houseplants and what they need, then be sure to check out our book Keep Your Houseplants Alive. It has no fluff, offers lots of easy to understand information and covers only the tried and true plants which do well indoors. Thank you for your video and the written info. Bought my mom one for Mother’s Day and today she told it has purple flowers on the quill. Sent her the link to your website, which I know she will enjoy. Got this plant when I was visiting Hawaii this summer. I was told to water it twice a week and have been doing so. The pink quill grew flowers that eventually all died but now the quill is dried out and brown, quite dead. Is this the part I should cut off and if so, how far do I cut? Also, how long will this plant live? Is it normal that the flowers do not fully bloom? There seems to be a lot on the quill, but thy die before they bloom. Hi Nell. Thanks for the info. Love my Pink Quill. I keep seeing Pink Quill seeds being sold online. How can I get mine to seed? Thank you.